Chinese New Year is here in a week time! Can you feel the excitement already? 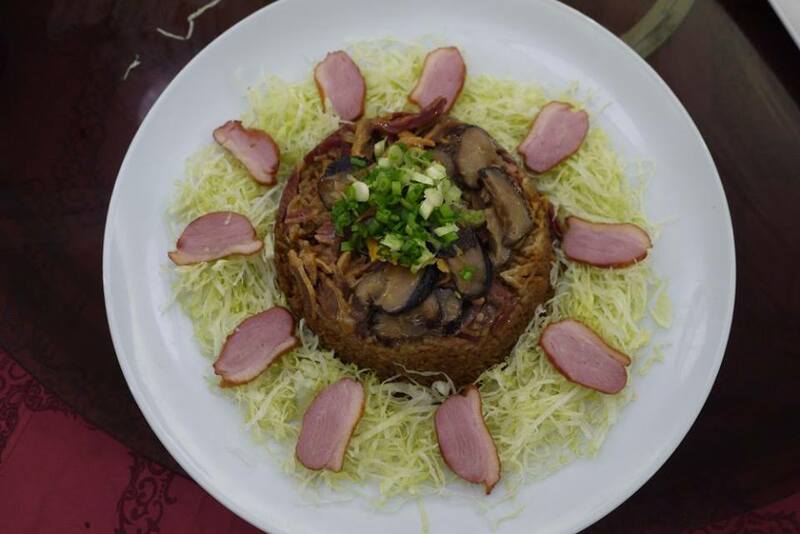 As most of the people know, we Chinese love to eat. 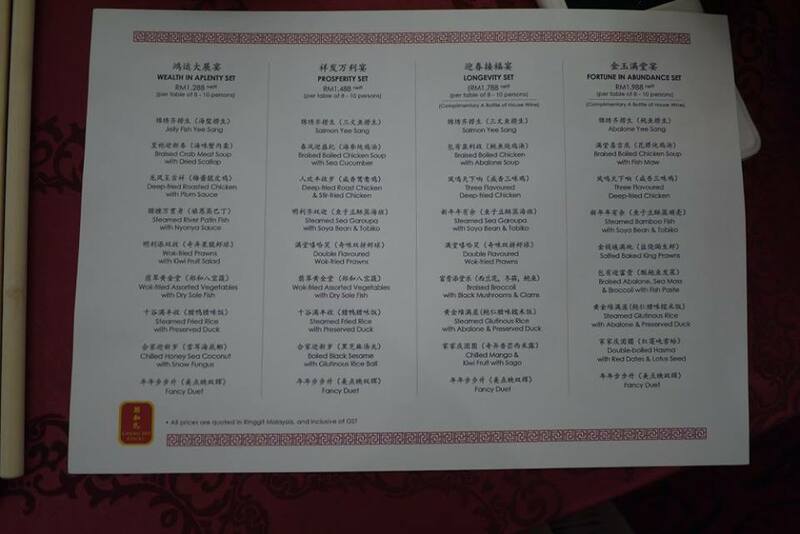 We work hard and eat hard, 正所谓‘找吃找吃’嘛。In every gathering, we would eat eat drink and drink (吃吃喝喝) hahaha. 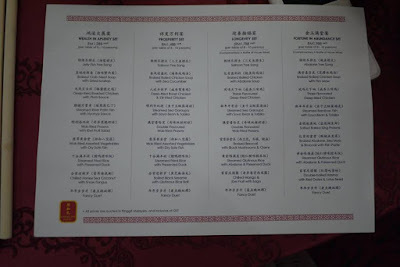 As a blogger, I had the privileges to start testing CNY menu few months back. 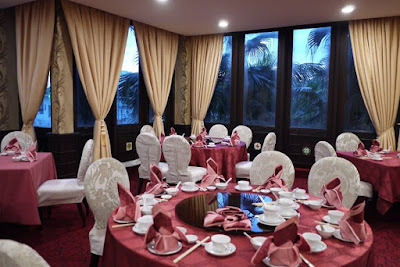 I’d like to start talking about CNY menu with the most delicious one(In my personal opinion): Cheng Ho Court @ Philea Mines Beach Resort(formerly known as Mines Wellness Hotel). I love the ambience environment in Cheng Ho Court restaurant. 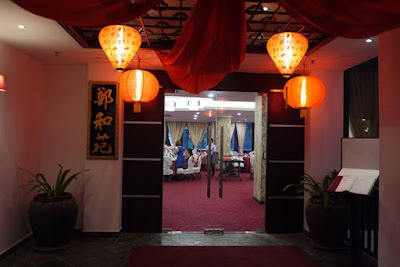 The restaurant is in white and red color which is the famous color combination for Chinese. Their CNY Set menu is priced from RM 1288 nett to RM 1988 nett, for a table of 8 – 10 persons. The price is reasonable as the restaurant is in a 4 stars hotel. 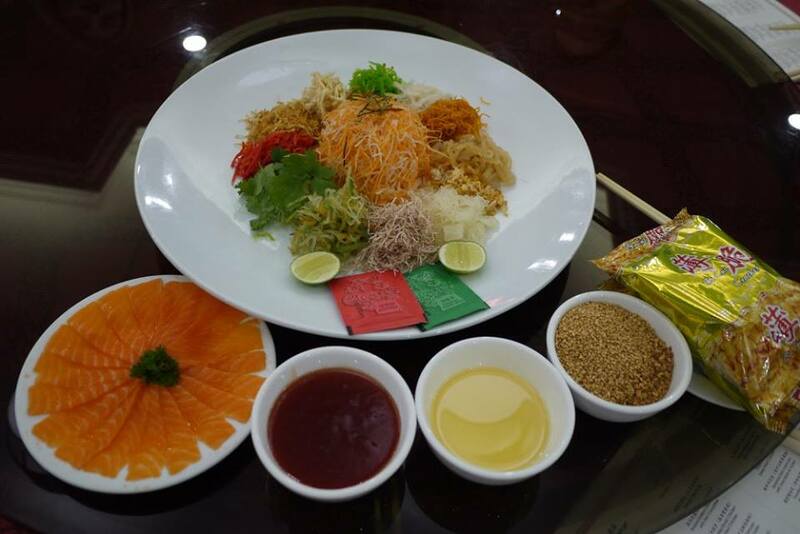 As usual, CNY menu starts with Yee sang. 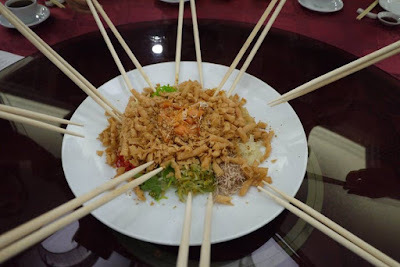 We had Salmon Yee Sang that night to toss up a delightful meal and an abundance of prosperity. The salmon Yee Sang was fresh and crunchy, simply lovely. 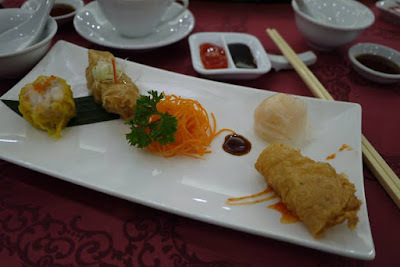 While waiting for the rest of the dishes, we were served with their signature ala carte signature Dim Sum. The dim sum are freshly made in-house every day, simply yummy. 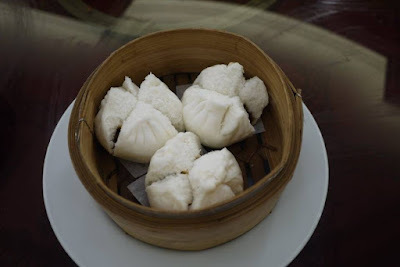 I was told their Dim Sum is served daily from 11.30am – 2.30pm. 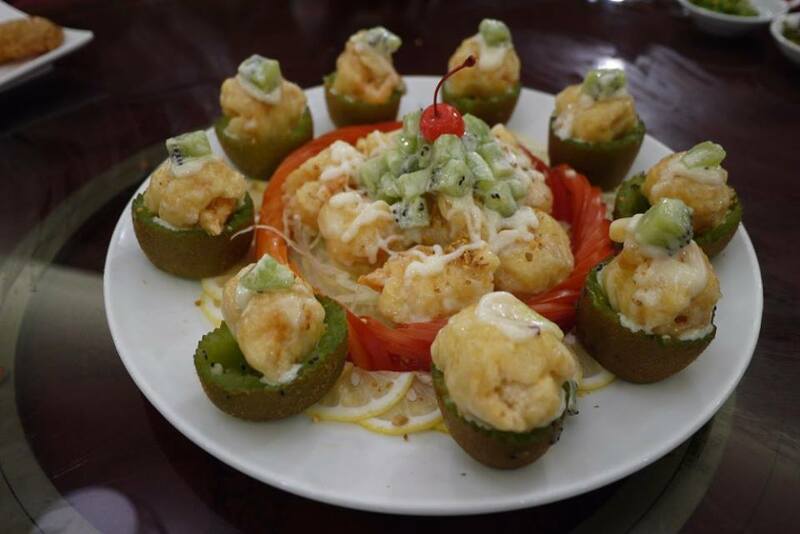 We were then served the creative dish - Wok-fried Prawns with Kiwi Fruit Salad. The kiwi fruit salad is healthy and has compliments the wok-fried prawns well. Every one of us just wanted to have more of this. 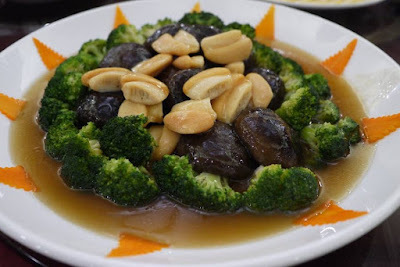 Suitable for adults and kids, this is another delicious and healthy dish for CNY. 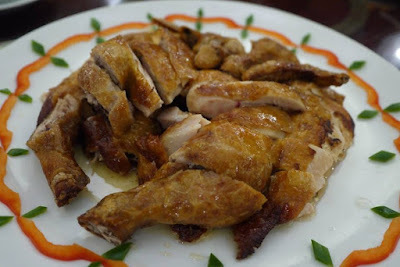 The chef had deep-fried the chicken perfectly. Served with plum sauce, simply pretty and tasty. This is our most-favourite dish of the night. 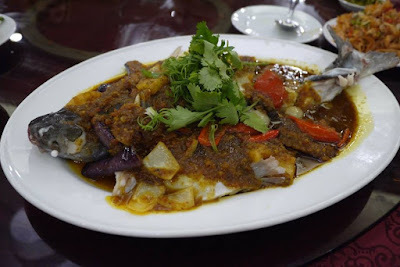 The patin fish is steamed till just nice, served with their unique nyonya sauce. We would love to have more of this. Instead of normal gluttonous rice, the chef had used normal rice for this dish. 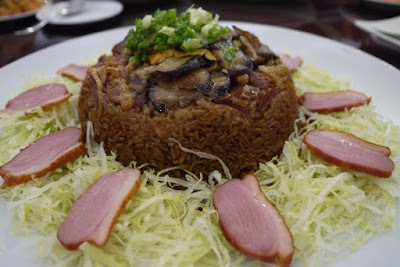 However, we find the rice is a bit oily due to the preserved duck and we are not really fancy of this. 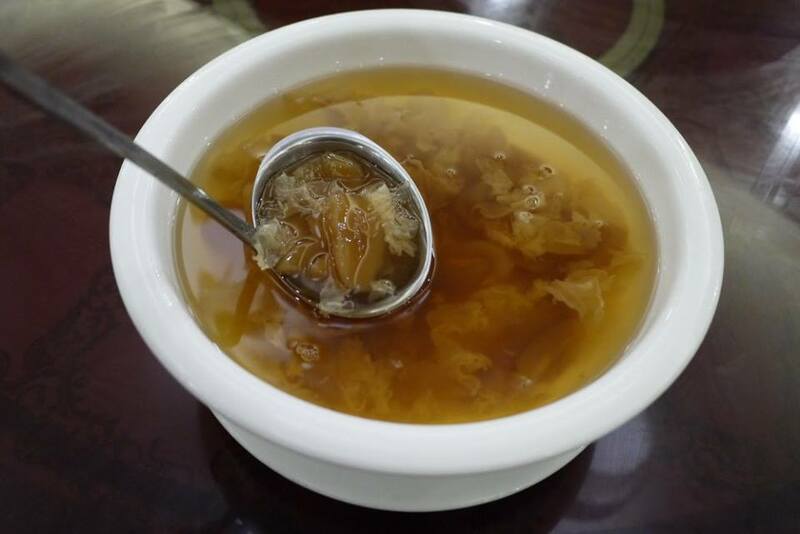 I always love sea coconut and snow fungus, not only they are delicious but they brings beauty benefits too hehe. 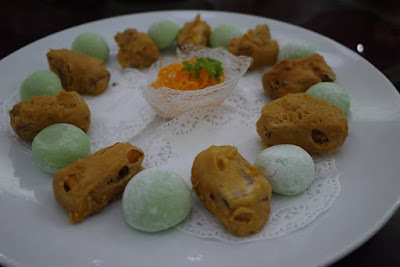 A traditional Chinese desserts – The Nin Ko (gluttonous rice cake) served with mochi. It’s simple, sweet and yummy. 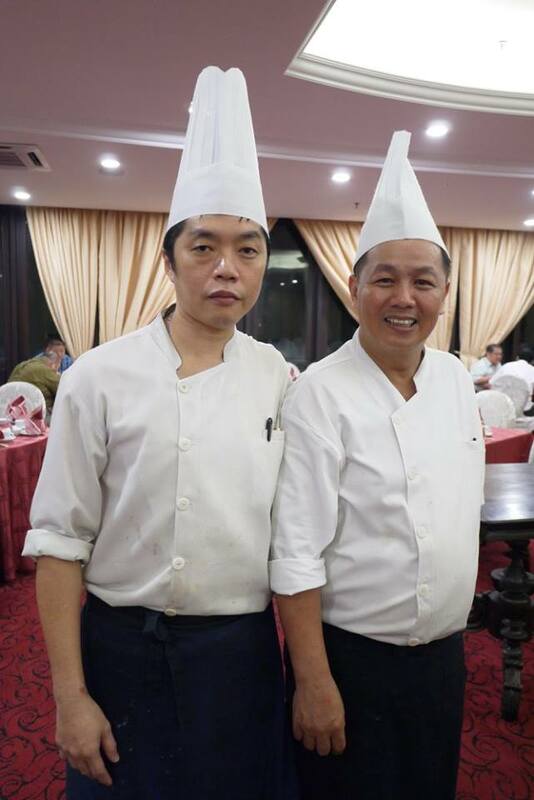 Thanks to the Master Chefs: Chef Leong Weng Heng and Chef Chin who have cooked us the awesome meals. Also thanks to Philea Mines Beach Resort for having us that night.